NHS trusts have issues fines of up to £280,000 to councils for delayed hospital discharges since 2016, a survey of directors has revealed. 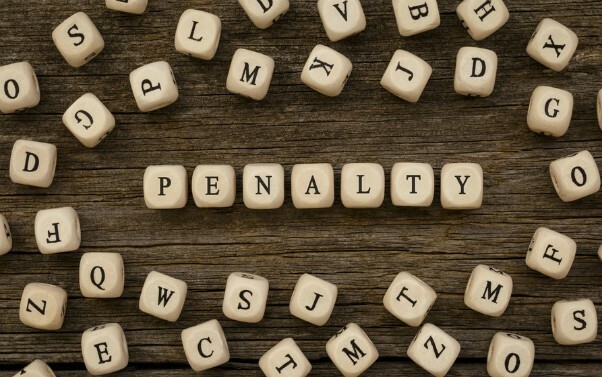 Fines of £2,280 to £280,540 were levied on 16 councils in 2016-17, with 10 paying up; in 2017-18, eight councils have faced fines, of between £3,000 and £99,970, and six have paid them. The figures come from an Association of Directors of Adult Social Services (ADASS) survey carried out last month, answered by 105 directors, 69% of the total. Under schedule 3 of the Care Act 2014, an NHS trust may require a local authority to pay a specified sum for every day for which a person’s discharge from hospital is delayed because of the council’s failure to carry out an assessment or arrange services to meet eligible needs. Since the fines system came into force in January 2004, they have often not been enforced by trusts. But in May this year, the Local Government Association warned that trusts were starting to impose fines, a move it described as “completely counterproductive”. The ADASS survey has now quantified the scale of the problem reported by the LGA, though figures were not available for the total cost of the fines levied in 2016-17 and 2017-18. The news comes with the government having placed the NHS and local authorities under controversial targets to reduce delayed transfers of care. These require councils nationally to reduce the rate of delayed discharges attributable to social services by 53% from February 2017 levels in 2017-18, with councils deemed to be lower performing having to achieve a two-thirds reduction. While the government has allocated councils £2bn to tackle adult social care pressures from 2017-20, health secretary Jeremy Hunt has threatened to review allocations for 2018-19 for those councils that fail to hit their delayed discharges targets, a move heavily criticised by ADASS and the LGA. At the time of the latest ADASS survey, 62 of 101 directors who responded to the question had set delayed discharge reduction targets in line with national expectations for social care and health. However, only 32 considered these ambitions to be realistic for both services. The government’s targets were designed to combat a rise in delayed discharge rates and in the proportion of delays attributable to social care. From March 2016 to March 2017, the number of monthly delayed days rose from 169,900 to 199,300 and the proportion of delays attributable to social care rose from 32.2% to 36.8%. The latest figures, for August 2017, show a year on year decrease in the number of delayed days but the proportion attributable to social care stood at 37.3%. Saffron Cordery, director of policy and strategy at NHS Providers, which represents NHS trusts and foundation trusts, said the situation reflected the “extreme and shared challenges” faced by health providers and local government, namely “growing demand, rising costs, and tightening budgets and workforce challenges”. She said that trusts had reported that additional government funding for councils “has not been consistently getting through with little or no impact on helping vulnerable patients out of hospital and into more appropriate care packages, either in the community or at home”. She added: “In these areas where funding is not being spent on reducing delayed transfers of care, this will have a knock on effect for patients, across both the NHS and local authorities, this winter. Fines should be a last resort. In reality, the government sought a double benefit from this funding which hasn’t delivered effectively. This ‘fining’ of LA’s/Health Trusts culture has got to change, as at end of the day it’s taxpayers that are ultimately footing the bill. There has to be a better way to motivate/incentivise LA’s/Health Trusts to do better, and not the blame, shame and fine approach that currently exists. We’re all working flat out with limited resources in difficult times, and most will have the best interests of the sick and vulnerable individuals at heart. The NHS shambles sadly looks destined to continue. We are seeing the same failed polices of reducing hospital beds despite increasing demographics resulting in increasing pressure on beds. Attempts to cost shunt to patients and local authorities become less viable where patients have higher levels of need (and LA’s have no spare capacity anyway). No doubt the NHS is now pressing the aggressive blame the LA and increase fines approach – ignoring the fact that most discharge delays are NHS delays – and that where fines are applied LA’s look far more carefully at the classifications and start to insist that patient choice and NHS delays are recorded as such. All in all a time consuming and tiresome merry go round which does not assist joint working. No one ever mentions the unsafe discharges that cost Councils in time and resources as well as the human cost to the poor patient who has been coaxed to return home without care in place and the promise that Social Services will provide support. I have lost count of the amount of cases that we ‘field’ in this way. The hospital discharge teams make no mention of the long delays that Councils have in seeing people let alone the delays we have in getting care packages started. Even if we get out on the day we are contacted care cannot start for a few weeks due to the endless processes and paperwork involved. We no longer have any in house homecare provision so are at the mercy of the care agencies! Gina that is well put, to be honest majority of people discharged from Hospital are ending back there because they were not medically fit in the first place. The only person this kind of practice is hurting is the service user and families who have to make distress phone calls to Social Services to request services to be told the person is so ill they need to return to Hospital. Until all professionals try and make time to understand each others roles and services, nothing will ever change. Very well said. Also, no-one mentions the issue with therapy teams in the hospitals not providing the rehab people require to get home and remain as independent as possible. Patients are being held to ransom with therapists demanding huge packages of care or the patient cannot return home and then have the audacity to say LA are holding up the discharge when the care cannot be sourced. A lot of those older people in hospital shouldn’t be there in the first place. They could have been treated in their own homes. Our company have been providing a Rapid Response (carer within four hours of first phone call) service for a London Borough which effectively ensures that DToC’s are prevented. The service has to be based on a separate team, employed on full-time contracts. The costings and analysis showed that although the cost of providing the service was high, it was less than the cost of occupied hospital beds, and did not take into account any fines for overstayers. Initially the service was provided to each patient for fourteen days, but reduced to seven days. Social Workers were made aware that these timescales applied, and therefore focussed attention on such cases in order to assess and broker ongoing services where needed before the 14 or 7 day deadline- almost always effectively. A major reason that DToC’s occur is that Brokerage teams try to pressurise providers of domiciliary care to find capacity at very short notice. This only works when providers have spar capacity, and unallocated carers sitting around waiting for work- and that simply doesn’t happen. Biting the bullet and commissioning a dedicated team, and preparing to accept that when the team is under capacity, staff may be paid to be on standby, guarantees that capacity exists at times of peak demand. The barrier to solutions like these is that commissioners see the creation of such teams as “new spending”, and cannot justify spending such sums. But simply “shoehorning” calls into existing and busy schedules of existing providers cannot succeed. Brokers pressurising providers is not the answer- if providers have capacity they will be keen to accept poc until they don’t have spare capacity, and then when a fit-for-discharge patient requires a quick start, capacity isn’t there. We found that such a service also prevents avoidable admissions where a person is declining, and if there is capacity, can also be used to bridge the gap when a discharge is needed but a provider cannot start for a day or two.